This article continues our series focusing on how to avoid radiology claims denials. In our first article, we covered Patient Eligibility Problems. Now let’s look at the topic of procedure authorization, specifically the failure to obtain proper authorization before the service is performed. Many insurance plans require prior authorization for imaging procedures, especially those that are higher in cost such as MRI, CT and PET imaging. Performing these services without first obtaining the payer’s authorization will create a denial of payment when the claim for services is submitted. 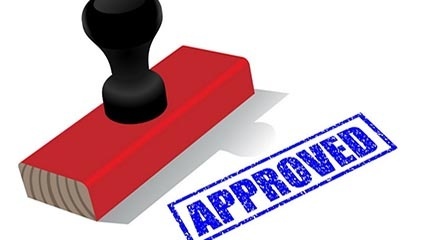 The authorization process begins with some of the same steps as we discussed related to patient eligibility – obtaining and verifying correct information about the patient’s insurance plan. The imaging center staff must be well-versed with knowledge of which plans require prior authorizations, which procedures within each plan require authorization, and how to obtain the authorization. Some insurance companies handle their own procedure authorization, but many use third party benefits management firms. Calls to the insurance company might produce the response that an authorization is not required, when in fact it is required but through a different source. While this sounds straightforward, it can be tricky. The best way to understand what is required is through experience with the plans your practice encounters the most. Practice managers can build a table for the staff to refer to during the gathering of patient information. In addition to drawing on their own experience, practice managers might be able to schedule meetings or phone conferences with insurance company representatives to go over each payer’s policies and procedures for pre-authorization. Reps can provide a wealth of information about the policy numbers (often identified in the prefix) that require certain types of authorization, and how to best obtain the authorization by using the proper phone numbers or web site addresses. Once the meeting is completed and the practice has consolidated the information it will be using, it pays to get the insurance company representative to confirm in writing everything that they have said. Unfortunately, this is not a one-time exercise as insurance companies often change their rules and procedures. Find out how to be notified about such changes, and be sure they are communicated to the practice’s billing office or service. Similarly, be sure the billing office or service regularly communicates any information about changes back to the authorization and reception staff. During a patient’s registration for an appointment the staff must gather as much information as possible about the patient’s condition and the reasons for the exam. It will usually be necessary for the radiology department or imaging center staff to contact the referring physician’s office. Ideally the referring office will have obtained an authorization from the insurance company, although with enough pertinent information some, but not all, insurance companies will allow this to be done by the radiology practice itself. State regulations also govern whether or not the radiologist can obtain pre-authorizations or if the ordering physician must do it. When it is permissible for the radiology staff to obtain the authorizations, the best practice is to provide this service uniformly across the referral base, as selective pre-authorization services could be interpreted as a kickback to certain referring physicians, which becomes a compliance issue. It is essential that you consult your attorney to understand the legal implications of obtaining authorizations for your patients. Submitting claims with incorrect information about the exam or the authorization will generate a denial just as the lack of authorization will. The advent of ICD-10 diagnosis coding has increased the level of specificity required in the pre-authorization process, and this specific coding has to accompany the claim for it to be processed correctly. Once the authorization is obtained the practice must verify that it matches the exam to be performed, including the date of service since authorizations can expire. This is another area where experience with the practice’s major payers is important, and it can be added to the table of information governing pre-authorization for the practice. A dedicated staff member (or more than one for a larger practice) should be in charge of coordinating and verifying authorizations. If an authorization cannot be obtained in time, the appointment should be rescheduled to avoid an insurance denial. This same person can be available to handle urgent, same-day appointments when necessary. Similarly, changes to the procedure originally ordered must be communicated to the insurance company so that the procedure codes ultimately sent in on the claim form match the payer’s authorization records. This often happens with exams where contrast material may or may not be utilized. For example, an exam ordered and authorized without contrast might be changed to one ‘with contrast’ or ‘with and without contrast’ based on the radiologist’s determination of what is needed to definitively assess the areas or organs being examined. Most payers have a limited window (typically from 3 to 14 days) to update an authorization previously issued. This is an important step in the process, and one that could be overlooked without a solid process in place. Monitoring the results of the authorization process is an important step to be sure claims are paid as timely and accurately as possible. Denials reports should identify when a denial is for improper authorization, and they can be used to identify trends or other problems in the process. Often a particular CPT code or practice location is causing a problem with claims payment, and this information will direct management to look further into the cause of the problem and fix it before it goes on very long. Changes in personnel within the practice are often responsible for an increase in denials as the new staff learns the proper procedures. Be sure the knowledge of the process is not limited to one person’s mental notes! A comprehensive policy manual containing all of the information we have identified above will be a great tool when practices are faced with such staff changes. The insurance payer is looking for information on radiology claims that matches its records and payment criteria. The radiology group will not be paid until everything lines up. By implementing processes and procedures to assure that all the correct information is gathered before the patient’s exam, the practice will be able to avoid denials that delay payment for the services. Avoiding denial of payment due to a practice’s failure to obtain proper authorization requires that a few simple procedures be put in place. Train registration staff to gather as much detailed insurance information as possible. Be sure the registration staff knows which procedures require prior authorizations, and train them to forward appointments for those procedures to the dedicated authorization staff. The authorization staff should obtain or verify authorizations when they are required, and be ready to reschedule patient appointments when necessary. Implement a procedure that will allow prompt authorization of urgent, same-day appointments when necessary. Be sure the authorization staff is notified of changes that occur if the actual exam performed is different than the one authorized. Have a written procedure manual that is updated when insurance company rules change. Establish lines of communication so that everyone in the process is aware of changes. Monitor denials reports and act on any trends that are identified. Along with patient eligibility problems and failure to obtain proper prior authorization, failure to document the medical necessity for the exam is the third biggest reason for insurance claims denials. Subscribe to our blog now to receive this final article in the series, as well as other articles of interest to radiology practices looking to minimize compliance risks and maximize revenue in this changing healthcare economy.